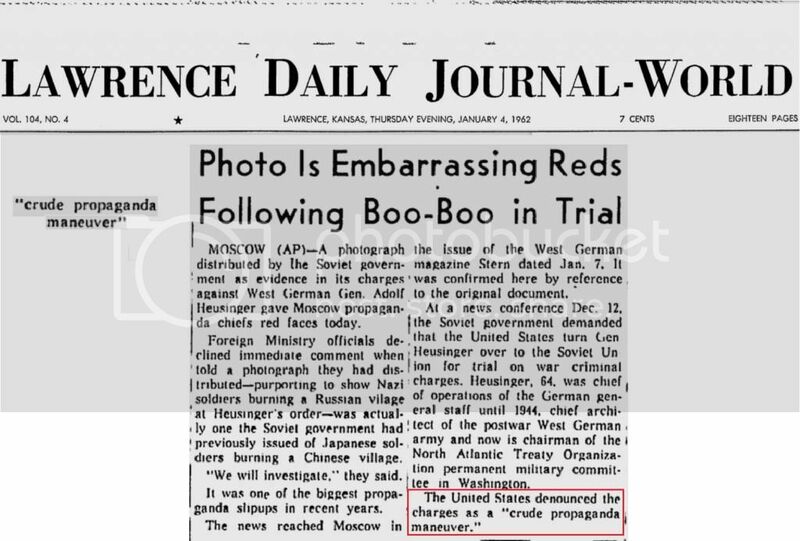 After providing so many photographic 'evidence' of the "Holocaust" during and after WW2, America suddenly discovered in 1962 that Soviet propagandists were in fact liars & distorters forging photographic 'evidence' for propaganda purposes. What a shock and amazing surprise! 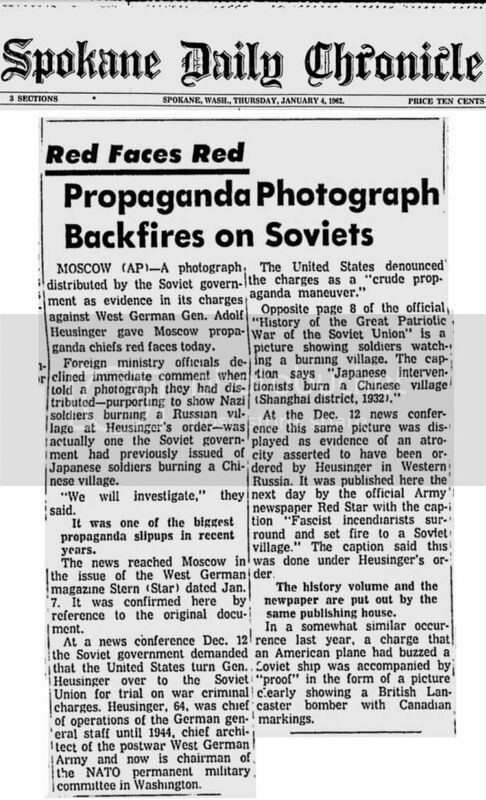 "A crude propaganda maneuver". 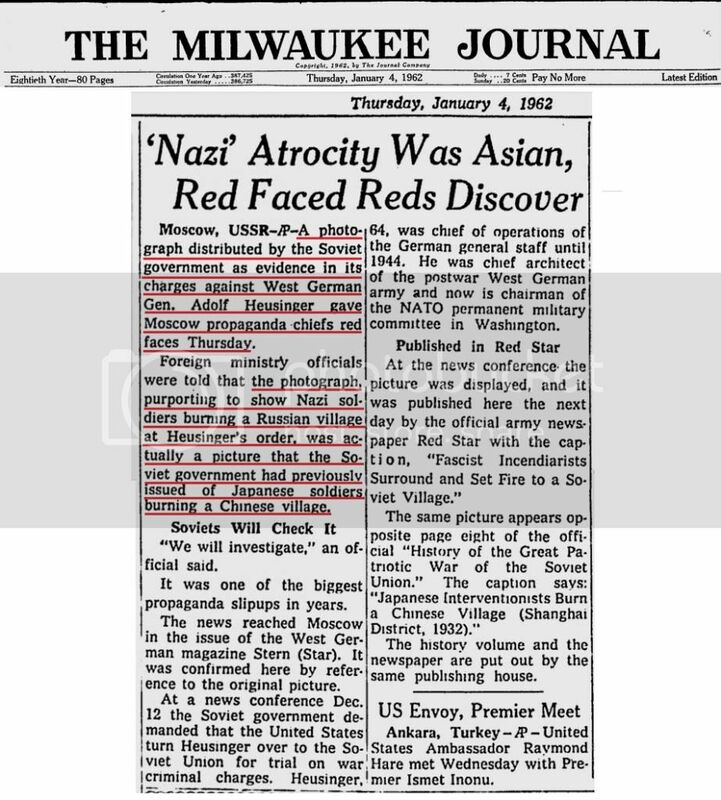 Who can you trust if you can't even trust the Soviets and their 'evidence'? For another holyhoax photos laugh, Google, "images jews waiting to be gassed." Oodles of photos of unidentified people sitting or standing around doing nothing and looking bored all labeled, "Jews waiting to be gassed." The gas chambers? Oh, they're...uh...over there behind those trees or somepin'. "For another holyhoax photos laugh, Google, "images jews waiting to be gassed."" Jews who were classified as "not fit for work" waiting in a grove outside Crematorium IV before they were to be gassed. At this point, the Jews were exhausted and in a state of shock from the horrors of the journey and the selection process that they had just endured. The vast majority had no idea what fate awaited them. If you didn't know better, you'd swear the caption was a parody! Do these people look "exhausted", or "in a state of shock"? "The following picture is a mass grave created by the Einsatzgruppen which is full of Judiacs (sic). The Einsatzgruppen would shoot all the Jews in a ghetto ..."
Of course, the photo is of Bergen-Belsen; if you look closely enough, you can see that the guard standing over the pit is a British soldier from his beret. What MacArthur said about F.D.R. can be applied to the Holocaust Industry in general: "It never tells the truth when a lie will suffice." Steve, in my opinion they don't even look like Jews. "Steve, in my opinion they don't even look like Jews. " I never thought about that.....I think you're right, 'gino.....they kinda look like "others". Maybe they're part of the 5 million Othercaust. 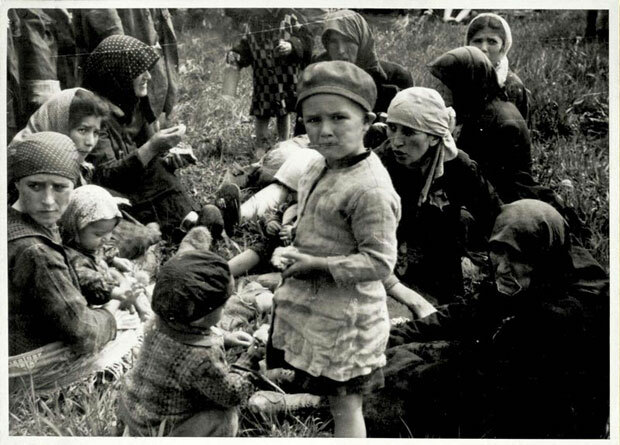 Picture with caption: "The 'Othercaust': Dr. Mengele's Lebensborn Giants Giving Nazi Salute on Gypsy Transport to Notorious Death Camp at Anaheim"
"A group of Gypsy women and children relax and enjoy a picnic after their long journey"? 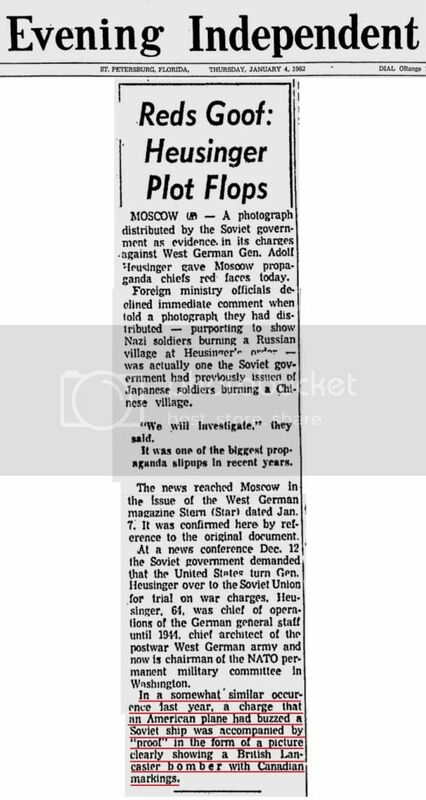 July 1952: Evil "germ warfare deniers" spreading their anti-Red hatred in U.S. newspapers in spite of the unimpeachable proofs collected by Communists in Korea, such as the confessions of U.S. military pilots about the U.N. germ warfare in that country. Don't miss the use of code words, such as "duds" for "germ bombs", "to preserve secrecy" about America's terrible methods of warfare.